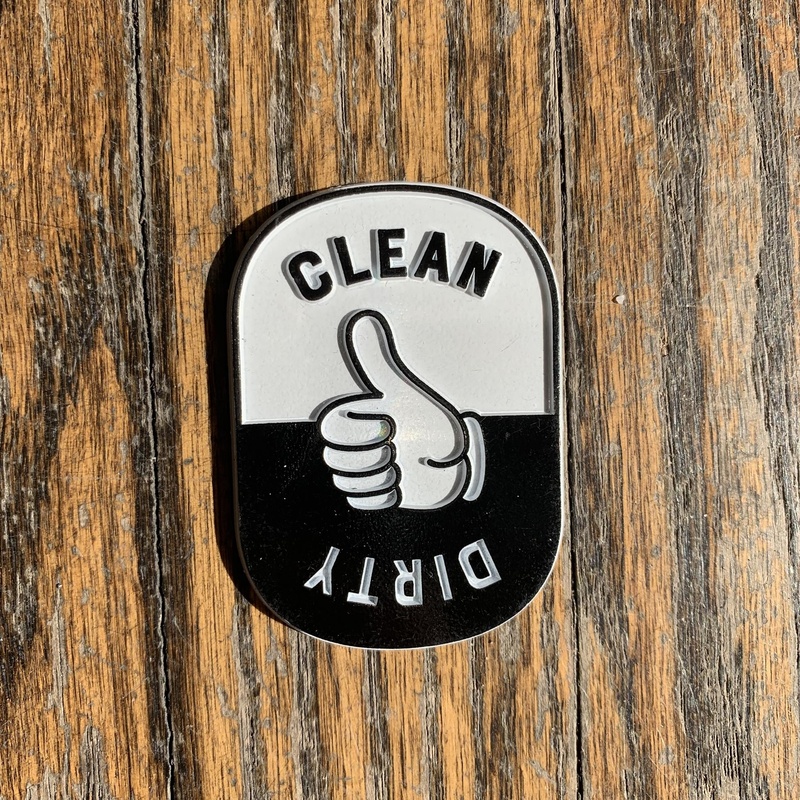 Clean/Dirty rubber magnet. Perfect for your dishwasher! A boutique with gifts, accessories, and women's shoes.